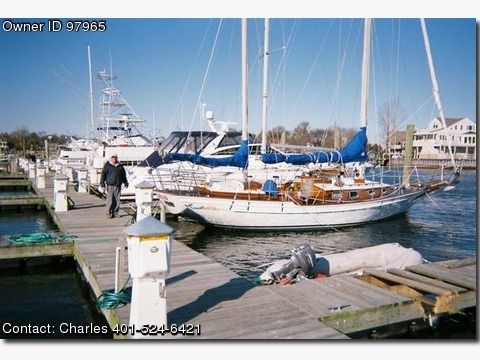 Please Call boat owner Charles @ 401-524-6421 or doverhofmtsnow(at)gmail(dot)com. Boat is located in Cranston Rhode Island. 1983 Kenner Privateer 38′ Ketch. Classic Cherubini design by Thomas Gilmer. Fiberglass hull ,Teak exterior, Mahogany interior. Westerbeke diesel., Recent injectors, pump & sails.